MaverickRussian Junior Champion, Health tested with Embark, DNA tested with MARS Wisdom Panel 4.0., AKC & DDC DNA profiled, AKC, UKC, BTRA, RKF registered. 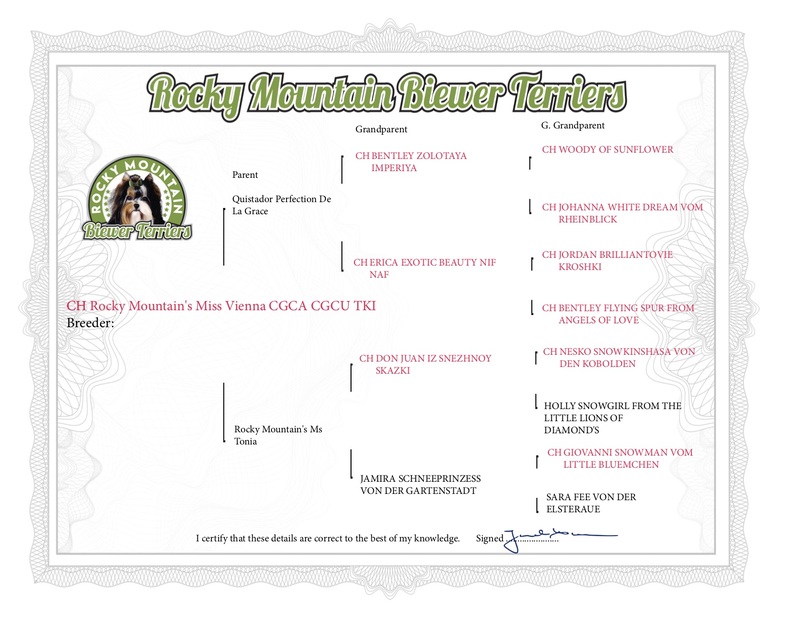 AKC & UKC registered, passed AKC CGCA and CGCU and TKN tests. DurangoHealth tested with Embark, DNA tested with Mars Wisdom Panel, DNA profiled with AKC & DDC, AKC, UKC, BTRA, IBC registered. BobbyHealth tested with Embark, DNA tested with Mars Wisdom Panel, DNA profile with AKC & DDC, UKC, AKC, BTRA registered. GunnerUKC Champion, Health tested with Embark, CERF eye tested, AKC & UKC registered, passed AKC CGCA and CGCU and TKN tests. TonyUKC Champion, UKC Top 5 2018, Health tested with Embark, DNA tested with Mars Wisdom Panel, CERF eye tested, OFA patella, CHIC# 135127, AKC UKC registered, passed AKC CGCA, CGCU and TKA tests. MiloRussian Junior Champion, Health tested with Embark, DNA profiled with AKC, AKC & RKF registered. ViennaUKC Champion, UKC Top 5 2018, Health tested with Embark, DNA tested with Mars Wisdom Panel, CERF eye tested, OFA patella, CHIC# 135127, AKC UKC registered, passed AKC CGCA, CGCU and TKA test. ToniHealth tested with Embark, DNA tested with Mars Wisdom Panel, DNA profiled with AkC & DDC, AKC, UKC, RKF registered. ZaraRussian Junior Champion, Health tested with Embark, DNA tested with Mars Wisdom Panel, DNA profiled with AKC & DDC, AKC, UKC, BTRA, RKF registered. NancyHealth tested with Embark, DNA tested with Mars Wisdom Panel, DNA profiled with AkC & DDC, AKC, UKC, BTRA, RKF registered.